Founded in the wake of the gold rush by leaders of the newly established 31st state, the University of California's flagship campus at Berkeley has become one of the preeminent universities in the world. Its early guiding lights, charged with providing education (both "practical" and "classical") for the state's people, gradually established a distinguished faculty (with 22 Nobel laureates to date), a stellar research library, and m ore than 350 academic programs. It surprises many to learn that the military has been a very strong part of our history since the University of California was first established. Military training was even compulsory on our campus from 1870 to 1962 due to our status as a land-grant university. Additionally, UC Berkeley is renowned and infamous as the birthplace of the Free Speech Movement--a right protected by our constitution to which service m em bers swear to protect and defend. Even today, form er and current service m em bers are often surprised to experience the services, support, and respect they receive from our campus community. The Haas Veterans Club was founded in 2008 to serve U.S. military veterans in the Berkeley MBA community. Club membership is open to veterans, students pursuing careers in the defense industry, and anyone interested in learning more about military service. The Boalt Association of Military and Veterans aims establish a strong network amongst current and future law students as well as Berkeley Law alumni who served in the United States Armed Forces. 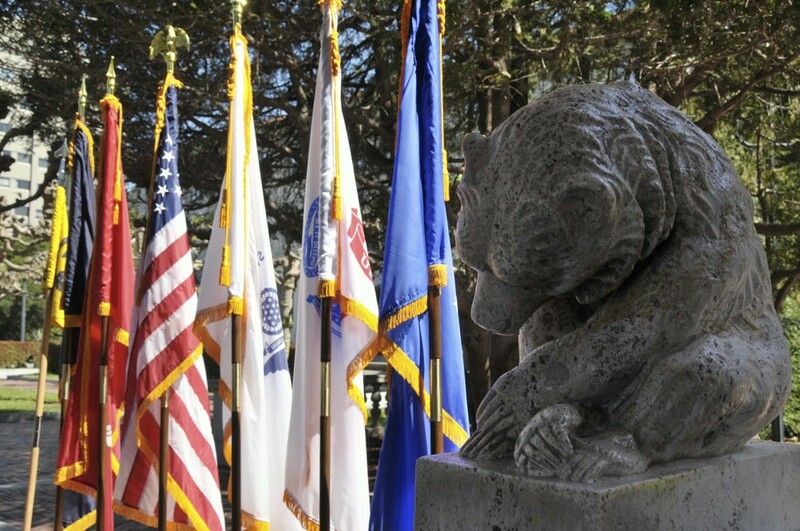 Berkeley Veterans is a staff organization established to serve veterans at UC Berkeley and the surrounding communities, and to serve the campus by acting as a bridge to the military and veterans community.